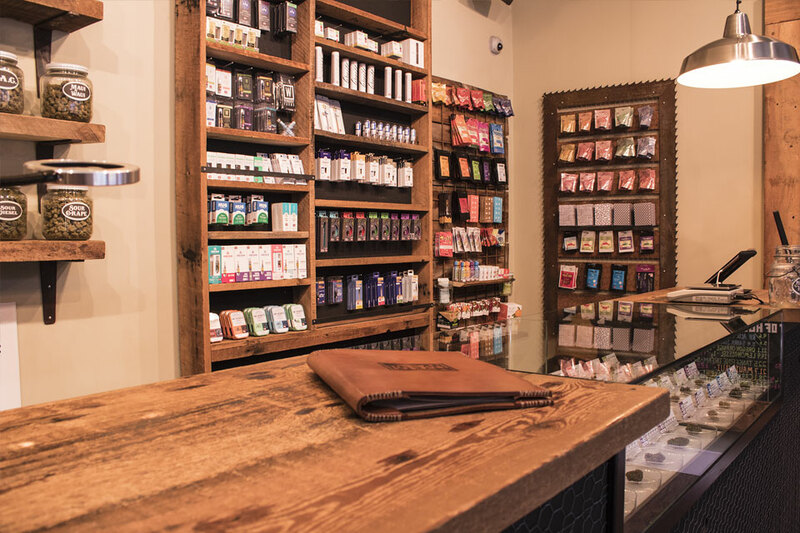 What makes our dispensary unique? 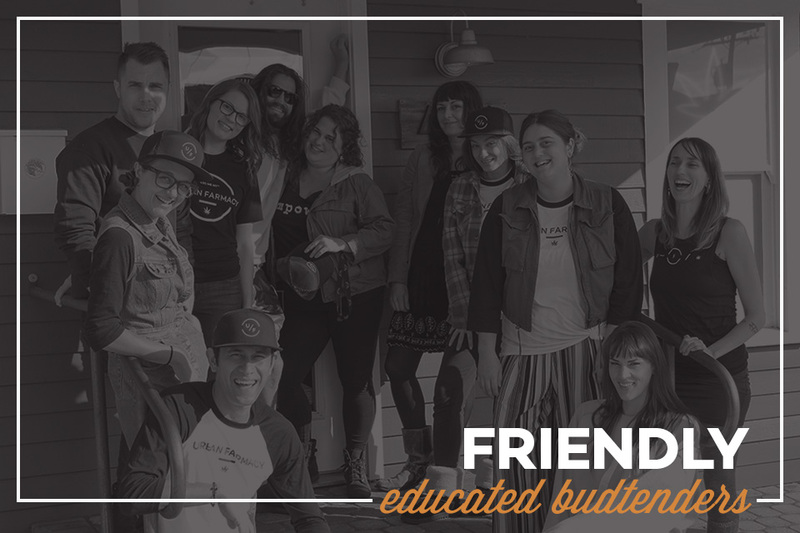 We welcome all people ages 21 and over to our safe, rustic and contemporary farmhouse marijuana dispensary. We are nestled in the North Tabor neighborhood of Northeast Portland just a short two minute walk from the NE 60th Ave MAX stop (stop id 8372). 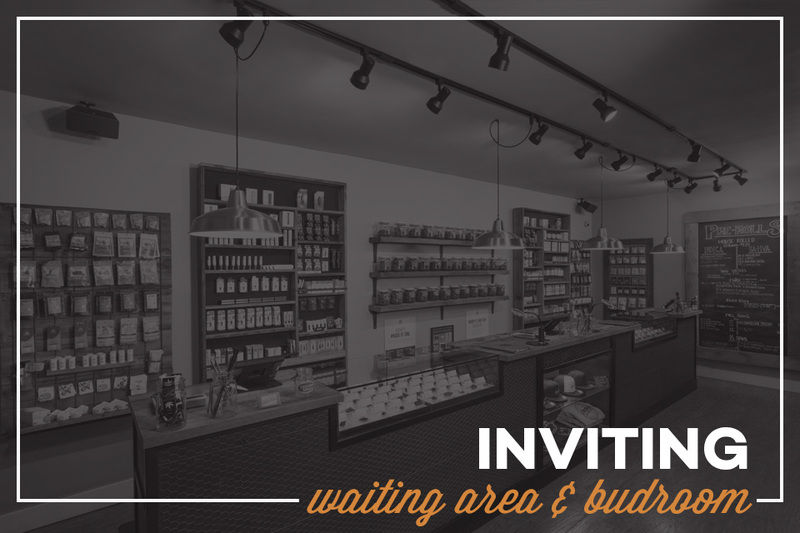 We are located on the Southeast corner of NE 60th Ave and Glisan just across the street from Seven Virtues coffee, and tucked just behind O’Neill’s Pub. Whether you are a Portland native, or a traveller from afar, our convenient location is here to serve you. of products do we carry? 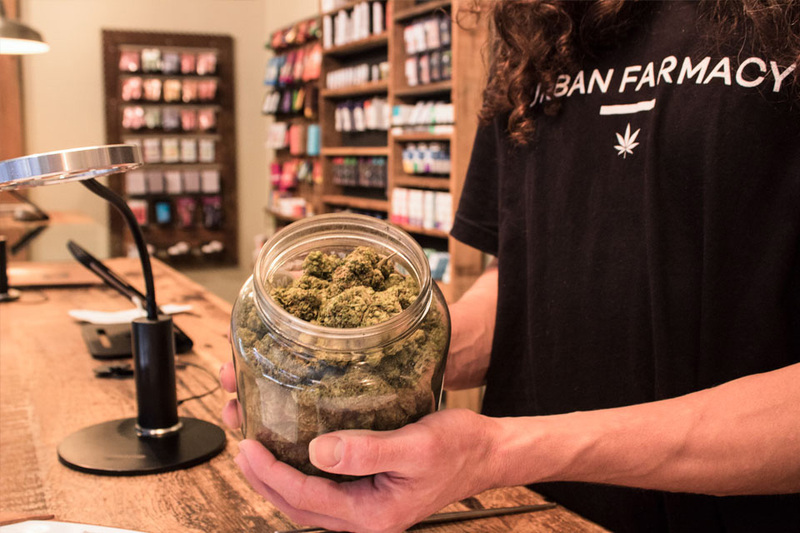 At Urban Farmacy, the cannabis flower and products on our menu are curated for quality, diversity and reliability. 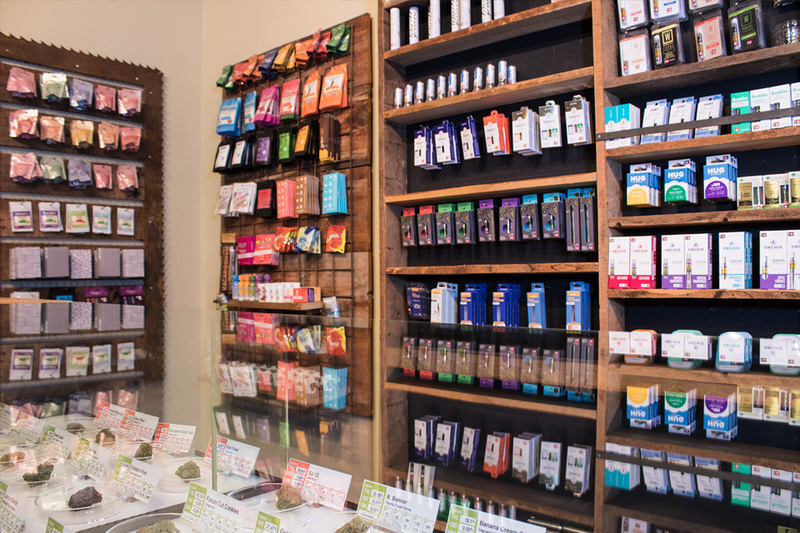 We work with local vendors to keep our shelves stocked with edibles, CO2 extracted cannabis oil cartridges, BHO (Butane Extracted Hash Oil), RSO (Rick Simpson Oil), live resin, rosin, THC and CBD tinctures and capsules, topicals, and a wide variety of CBD products and paraphernalia. We always have our eye on the market to find new and interesting products. 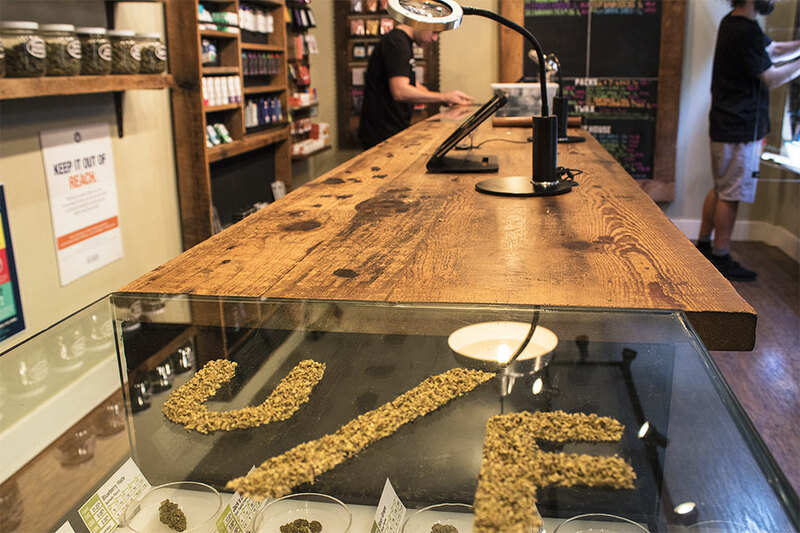 Additionally, our menu provides a mainstay of strains and products you can only find at Urban Farmacy. Some of our most popular cannabis strains include: Dogwalker OG, Durban Poison, Critical Mass, Jilly Bean, Purps, Bruce Banner and many more! 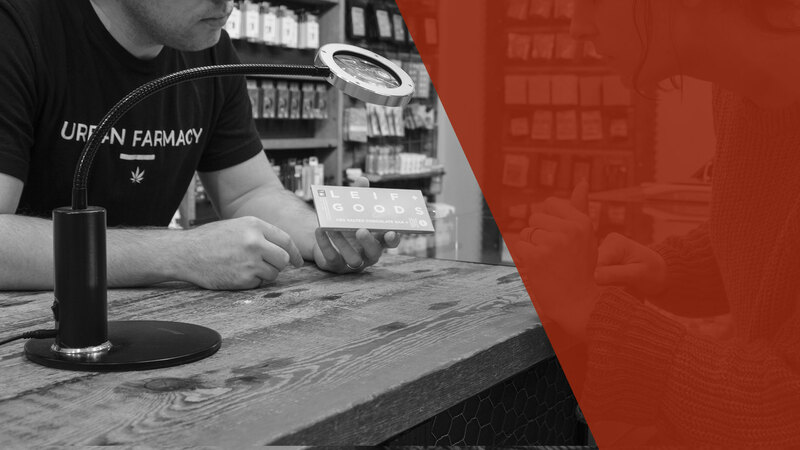 With our roots in wellness and medical marijuana, we have a passion for helping people discover the best ways to incorporate cannabis into their lives. 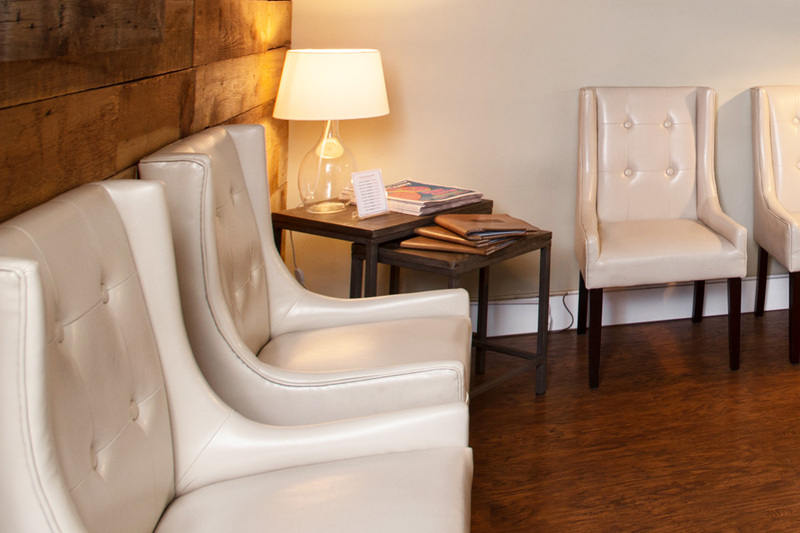 Our facility is designed so that you have the time and space to ask questions, and get the right answers. Cannabis research and development is moving forward at an unprecedented rate, and our team is always staying up to date on cannabis news and research. 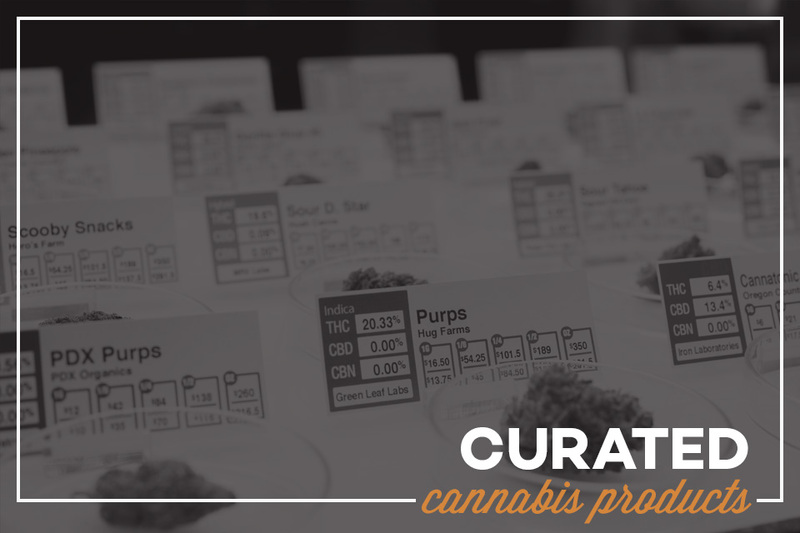 One of the ways we serve the cannabis community is by compiling some of the most relevant information including: OMMP information, cannabis 101, Endogenous Cannabinoid System, Sativa v. Indica, Cannabinoids and Terpenes, Edibles, Extracts. 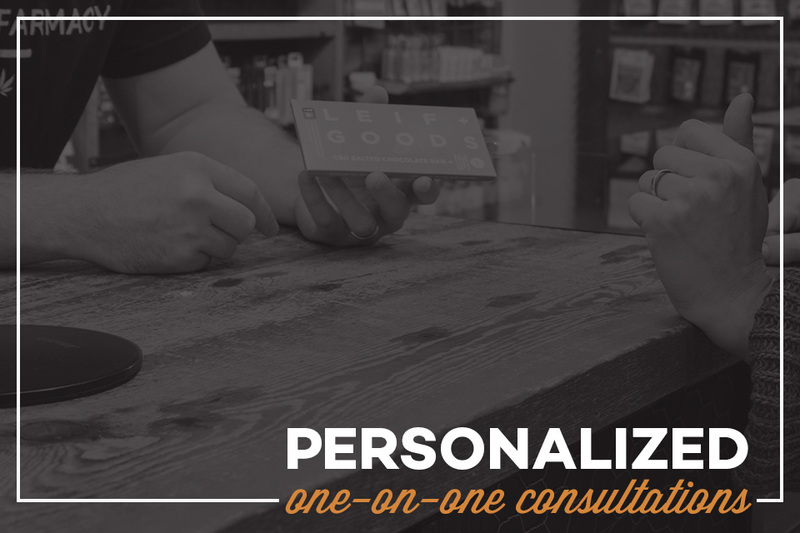 We have also designed a unique experience which allows all of our customers to have a one-on-one consultation with one of our most experienced budtenders.